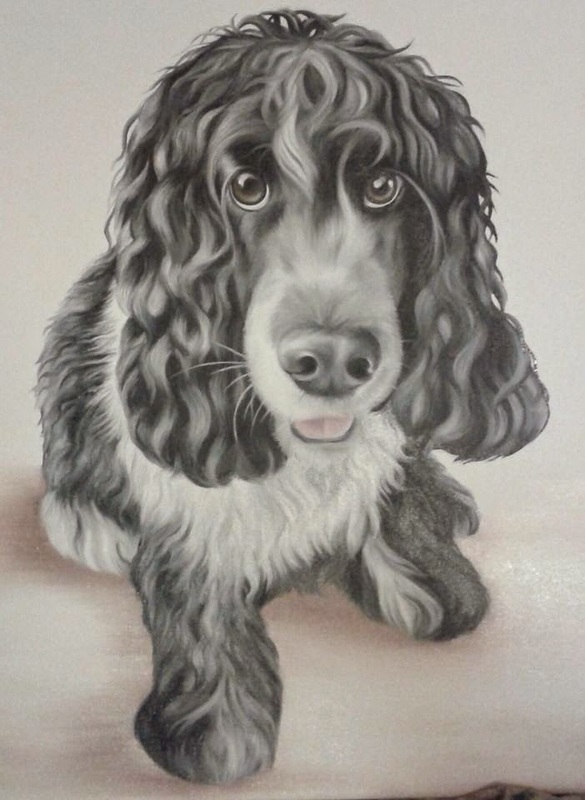 So I have to say I am slightly bias when talking about this Pet Portrait as the lovely Cocker Spaniel, Ambrose, is my parents dog and one of the most loved dogs I know, he really is part of the family! I spent Christmas with my family and it was difficult to pack up the car as not only did we have a boot full of presents but the painting of Ambrose was still wet as I had only managed to get round to it at the last minute. Although I love painting in oils and feel they give the painting a much higher quality they do take a while to dry especially in this cold weather so the painting was carefully balancing amongst the presents for the 5 hour drive to Pembrokeshire! Ambrose really is a soppy dog and I've never known a dog that wants so many cuddles! 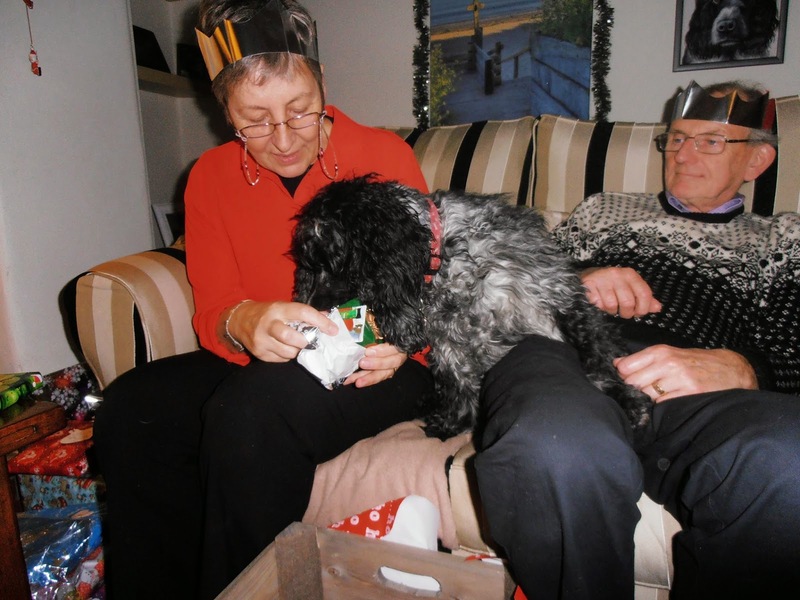 He got thoroughly spoilt at Christmas (even getting a little pressie from our cat Pudpud) but then who could say no to that face! 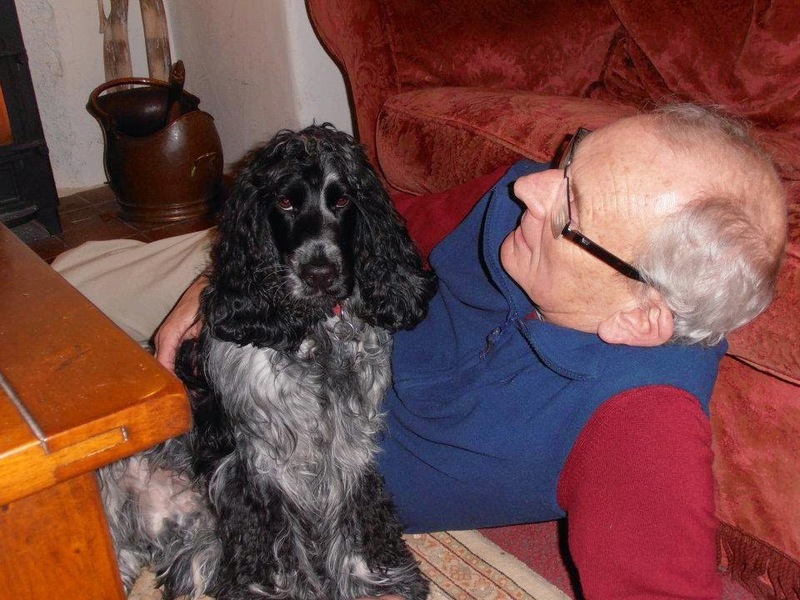 Here he is having a cuddle with his Dad.